The Mexican Chamber of Commerce in Great Britain is proud to take part in the launch of the CIAC (Council of Ibero American Chambers), which will be launched on Wednesday 19th March. The CIAC is an independent business to business (B2B) network of UK based chambers with unrivalled expertise and contacts in Latin America and Spain. We are delighted to inform that on Monday 10th February the British Argentine Chamber of Commerce, The British & Colombian Chamber of Commerce, The Caribbean Britain Business Council, The Mexican Chamber of Commerce – GB, the Spanish Chamber of Commerce in Great Britain, The Cuba Initiative and The Central American Business Council signed a Memorandum of Understanding (MoU) to launch this initiative. This Memorandum signed between the participants will strengthen the support network available to British-based companies seeking to enter or expand into the Latin American and Spanish market. The representatives of the Chambers that are part of the CIAC met on February 10th to sing a Memorandum of Understanding (MoU). 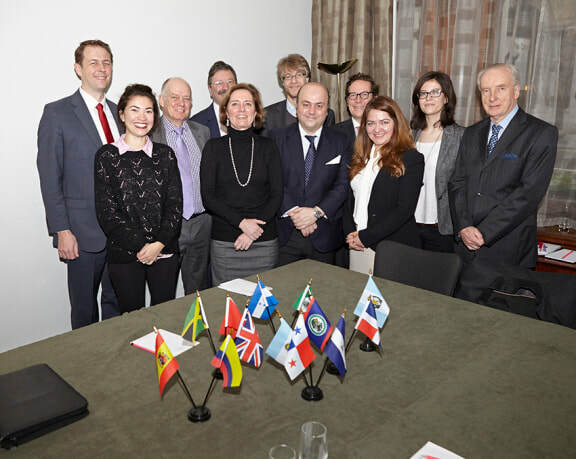 “Through the founding of the Council and our work with other bilateral chambers and partners, we are able to link each of our members companies to a much larger business network in the countries of interest and provide a platform for channelling messages to and from Latin America, Spain and the UK. The founding of the Council is the result of our efforts to add more value to our memberships and use our colleagues in other Chambers to provide local expertise in other markets we do not currently cover”.